The Worksite Pro DB84 and DB96 Dozer Blade attachments are designed to improve the productivity of skid steers and compact track loaders by transforming them into a compact bulldozer. The 24-inch high DB84 and DB96 come in 84-inch and 96-inch widths, respectively. 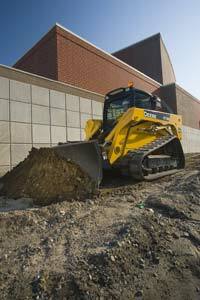 A 30-degree hydraulic angle and 10-degree hydraulic tilt feature let operators adjust blades. Each blade is Quik-Tatch mounted and comes standard with a reversible cutting edge and adjustable skid shoes. The blades are optimized to work with John Deere equipment, but they are compatible with most competitive models.